Kwesé signs Super Eagles skipper John Mikel Obi as brand Ambassador – Royal Times of Nigeria. 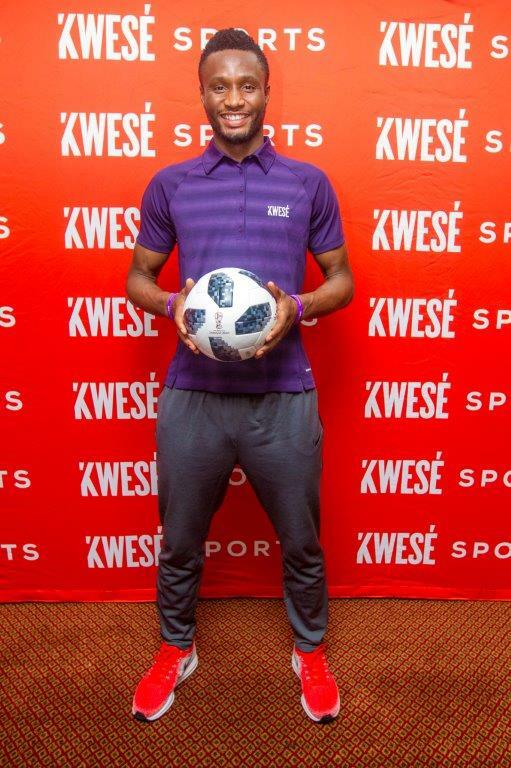 Econet Media’s pan-African broadcast network, Kwesé has signed John Obi Mikel as the first official brand ambassador for the brand. Mikel will represent the dynamic broadcaster’s services and initiatives across the continent starting with the upcoming 2018 FIFA World Cup Russia. Mikel, considered as one of Nigeria’s most accomplished players, will feature in Kwesé’s upcoming advertising campaigns which will encompass print, television and radio. Joseph Hundah, President and Group Chief Executive Officer of Econet Media said, “In choosing the right personality to partner with our brands we wanted someone who embodies what we stand for as an African broadcaster. Mikel represents exceptional sporting talent and is loved by fans across the continent. His commitment to excellence and his work to improve the sporting talent of the next generation of athletes made him the perfect choice for us,”. Kwesé viewers can look forward to seeing one of their favourite African footballer on Kwesé’s screens in due course, starting with the 2018 FIFA World Cup Russia campaign.